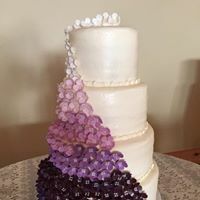 Inspiration comes from many places. 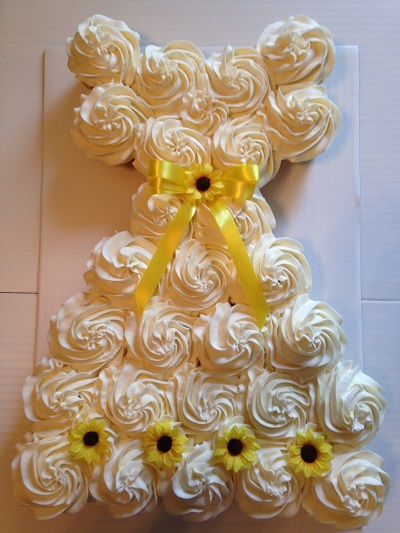 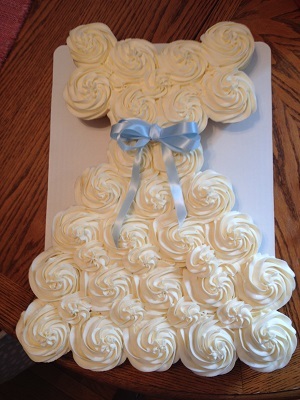 Bridal Shower Cupcake Dress, Rustic Wedding Cakes, Elegant with Real Roses, Groom's Cakes, and Small Cake Rosettes. 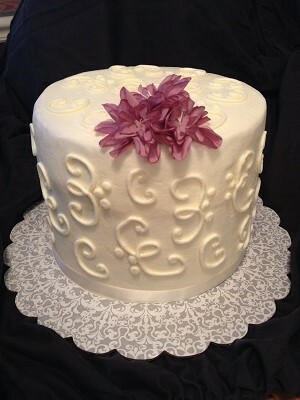 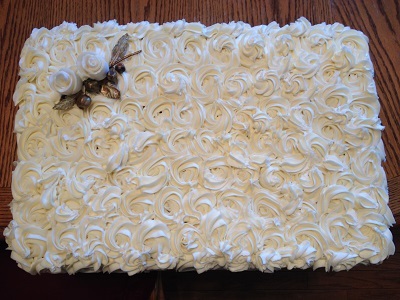 We offer a variety of cake flavors and fillings along with Buttercream Icing and Fondant. 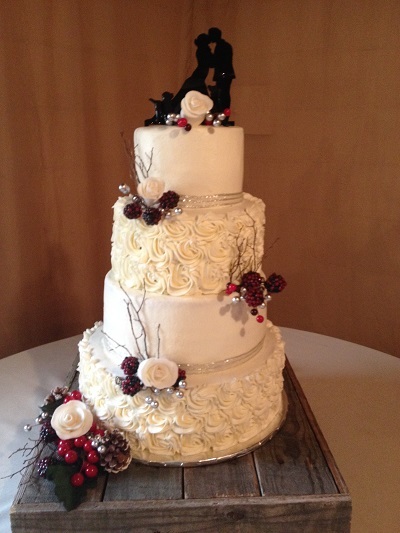 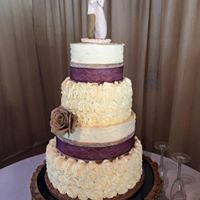 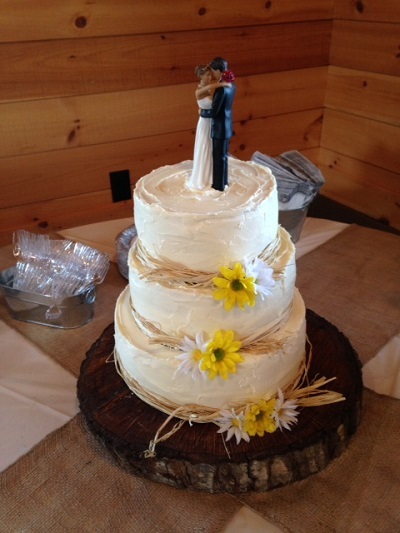 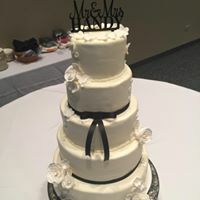 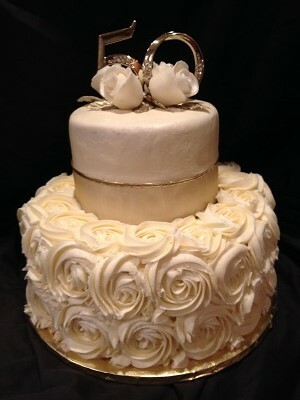 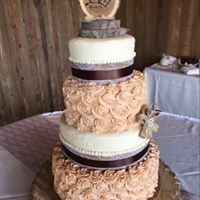 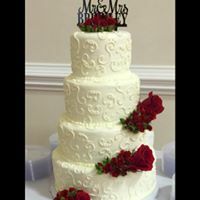 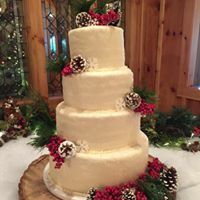 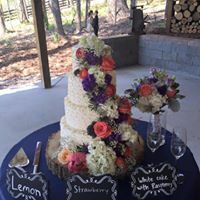 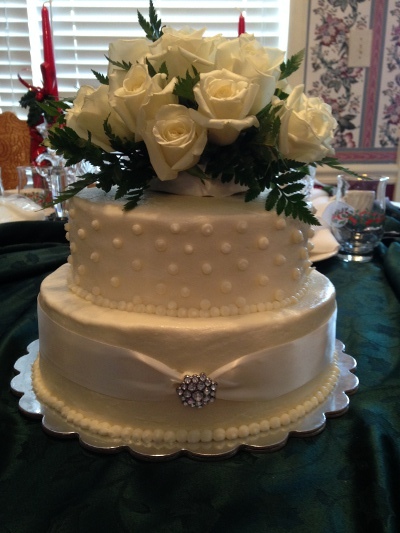 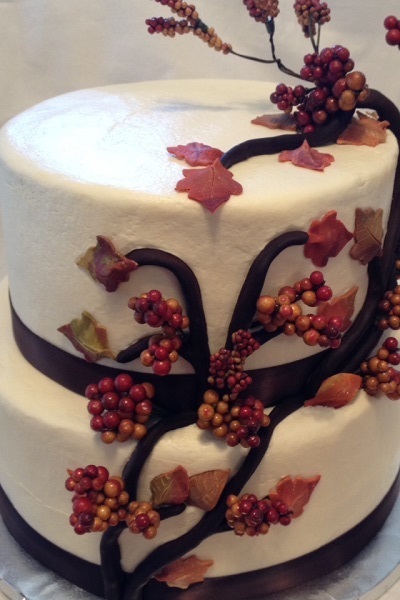 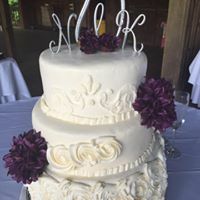 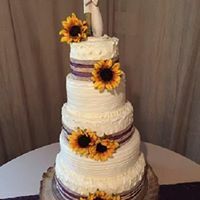 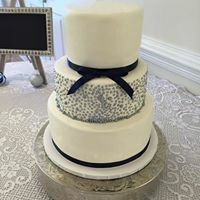 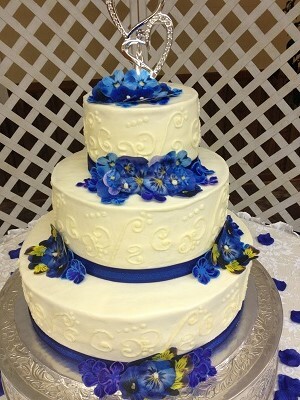 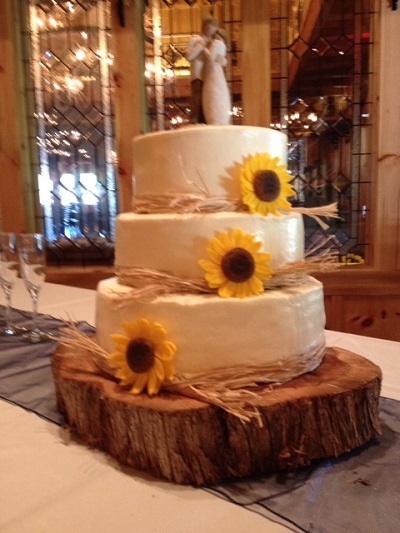 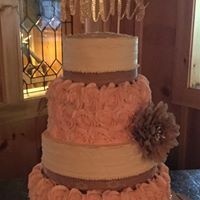 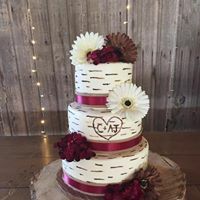 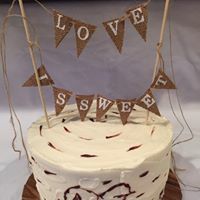 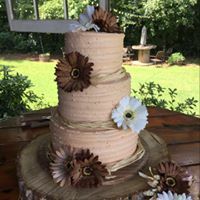 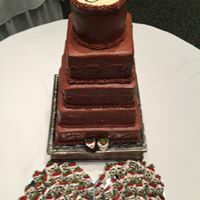 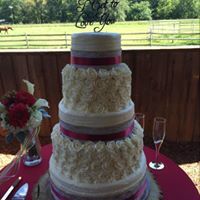 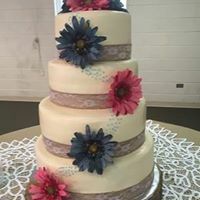 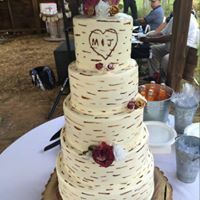 Contact us to plan the perfect cake for your special day.